A fence, a wall, a divider runs through the land. Some have called it the Berlin Wall of the 21st century. Some call it a land grab, some call it a security fence, some love it, some hate it. I crossed it. 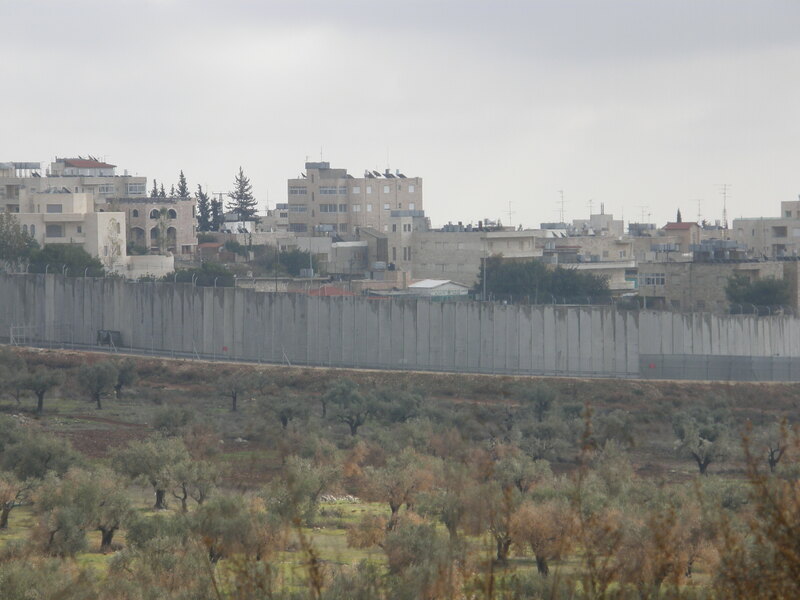 I am talking about the “security” fence separating Israel and the Palestinian Territories. 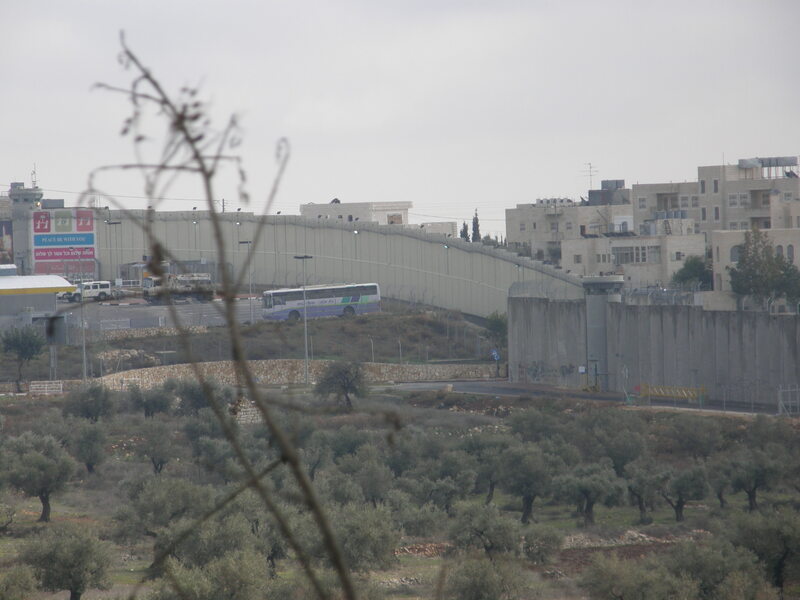 The Israeli government has erected this fence (really a wall, if you judge by that photo) between Israeli territory and Palestinian territory in the hopes of keeping Israelis safe from suicide bombs, gunfire, and all kinds of assorted violence. Except some of that fence encroaches on Palestinian land in what Palestinian supporters say is a land grab for territory on Israel’s side. Regardless of your political leanings, it is a blight on the land, and a difficult strip of land to cross. This is a separate post from my last entry since this fence is not yet an internationally recognized border between two countries. Crossing that divide was certainly a complicated tale, and one worth telling. Eating beurekas one morning in January 2008 in Tel Aviv with Stef, a Californian staying in the same room as me in a dank hostel, the topic of Bethlehem came up. 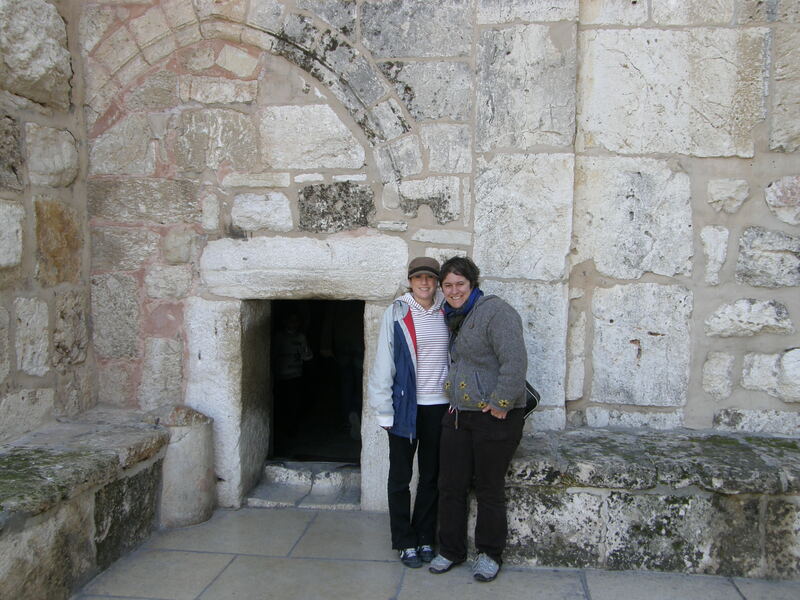 “Would you like to go visit the Church of the Nativity in a few days when we get to Jerusalem?” I asked her. She slowly nodded her head, sensing a trap. “The catch is that Bethlehem is in the West Bank,” I explained. Stef drank some more of her coffee and thought about this for a moment. “How do we get into the West Bank?” she inquired. We flipped through the Lonely Planet guide to the Middle East. Perhaps a more comprehensive guide of just Israel and the Palestinian territories would have had a more detailed explanation, but the edition of LP that we had offered some insight. It suggested making our way to East Jerusalem’s Sultan Suleiman station to take a sherut or to try our luck with a shared taxi from outside the Damascus Gate. We made plans to go a few days later, I gave her my Israeli mobile number, and we parted ways. We met by the Jaffa Gate and wound our way through the crowded souq to the Damascus Gate, and approached some taxis to try to negotiate a reasonable price. (We got gouged, by the way. I don’t remember what we paid, but it was painful.) We finally found Ahmed, a taxi driver who could speak English, Hebrew and Arabic – an Arab Israeli with friends on the other side of the fence. 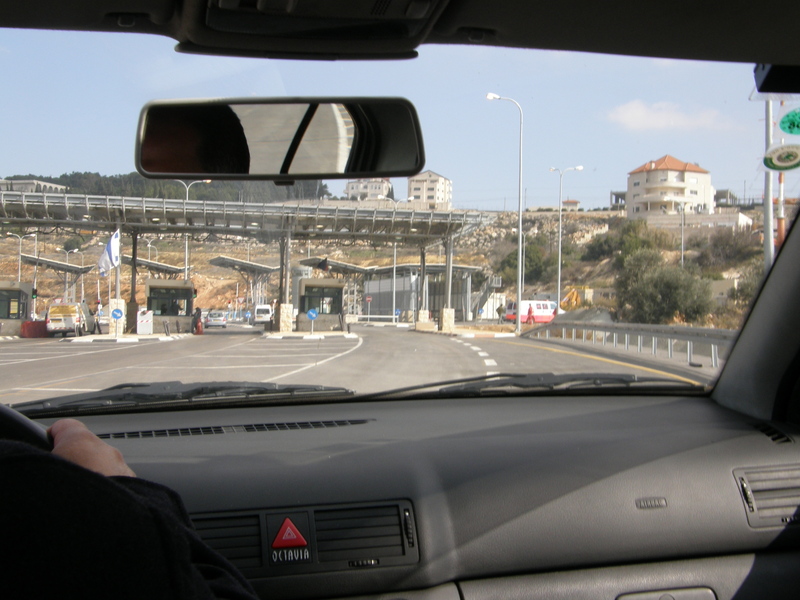 He would take us to the Gilo checkpoint, which for all intents and purposes, is a border crossing. His friend would meet us on that side, and Ahmed would leave his taxi just beyond the checkpoint. 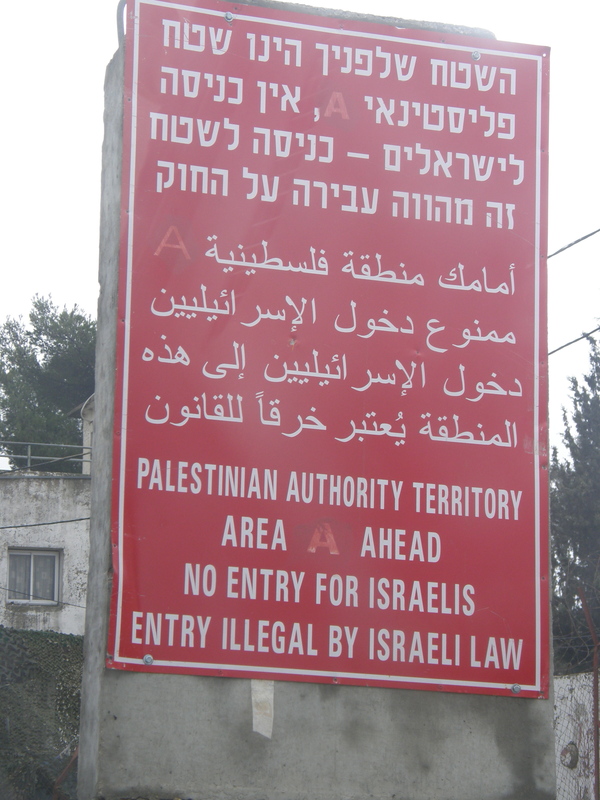 Ahmed would continue on with us to Bethlehem, a mere 6 km from Jerusalem but a world apart. “My friend will drive us. He has Palestinian license plates, I have Israeli plates. 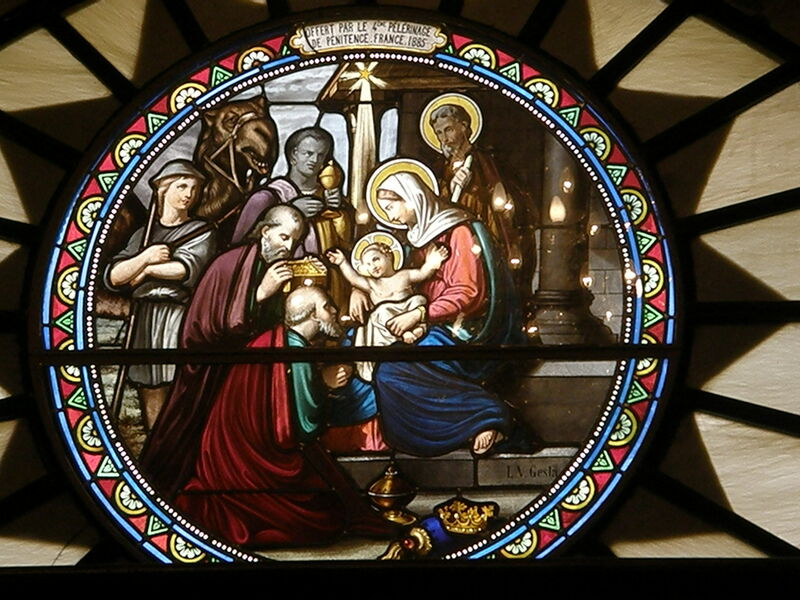 We cannot drive in Bethlehem in my car or you ladies will be shot,” he explained. Ahmed gestured to us to show our passports to the soldier. He smiled when he saw my Canadian passport, then frowned at her American one. Ahmed and the soldier exchanged a few more words in Hebrew that I couldn’t follow. The next morning, Ahmed was waiting for us as promised. He called me bright and early in the morning to make sure I showed up. I only paid him a quarter of the price we agreed upon so that he would keep his word the next day. Anxious to get his money, he woke me up. The same soldier was at the checkpoint the next morning. He looked at our passports again, and waved us in. Ahmed’s friend Mamoud was waiting for us 50 m from the checkpoint. 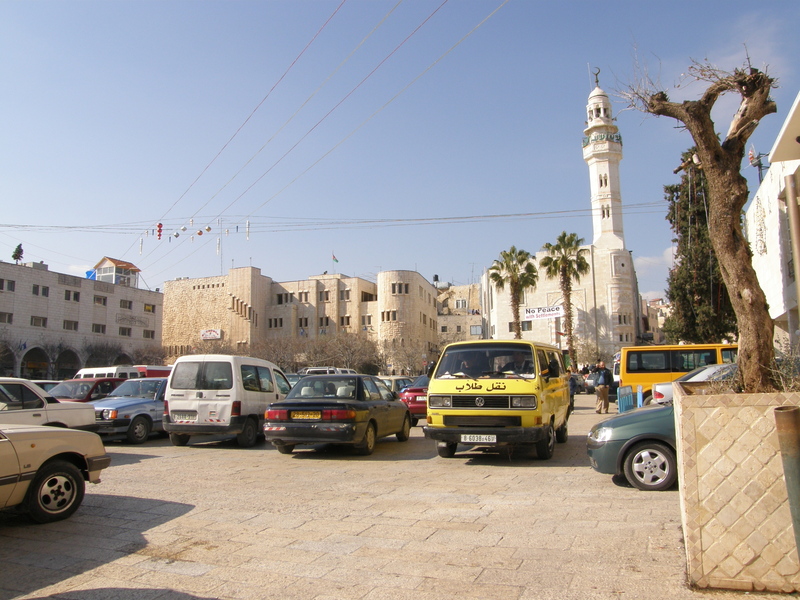 We hurried into his taxi, and Mamoud took us to the centre of Bethlehem. Word of our visit had spread, and the owner of one of the souvenir shops was sitting on his stoop, waiting for our arrival. “I open store for you today, special. I wait for you to get here to open, to save money on electricity.” His guilt trip worked. I bought a few small items, and paid in American dollars. His joy was genuine. We visited the Church of the Nativity, considered one of the most sacred sites in Christianity. The entrance to the Church of the Nativity in Bethlehem. I swear I'm not a giant. The Church is built over the cave that believers hold to be the birthplace of Jesus Christ, and it is actually two churches – a Greek Orthodox church and a Roman Catholic church. From a historical perspective, it was fascinating to visit the Church and the surrounding area, but I’m sure I would have gotten a lot more out of it if I were Christian, or even Muslim. I sat through Mass at the back of the Church and ducked out when it was time for communion. When Mass was over, I returned to snap a few photos, but most came out surprisingly grainy. I picked up a few olive wood Jerusalem crosses from Bethlehem as gifts. I can’t remember who I gave them to anymore, so whoever has them… I hope you enjoy them. Life goes on in Bethlehem. It’s easy to forget that from the comfort of my desk, the safety of my neighbourhood. Stef’s friend Yam was frantically calling us the whole time we were in Bethlehem to make sure we were OK. My friend Meir sent me text message after text message to check on my safety. As we drove back to the checkpoint, we passed a shepherd tending his goats. 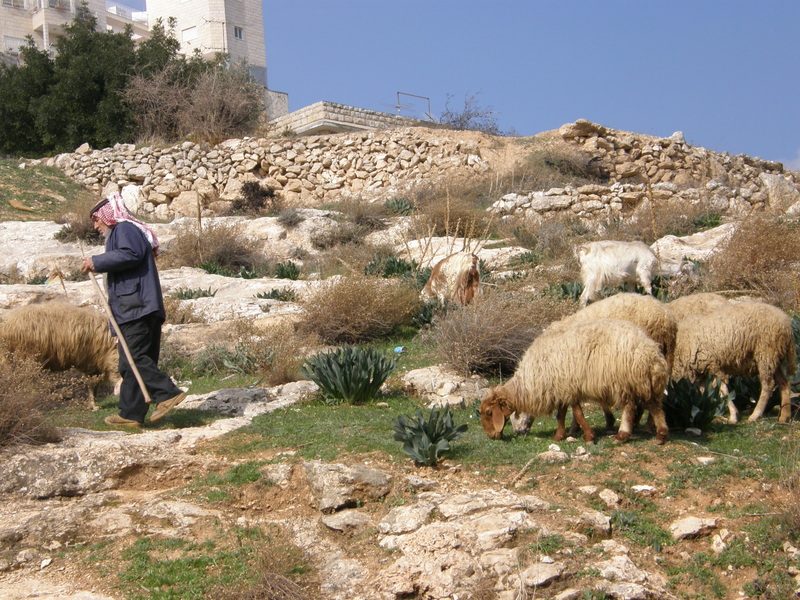 It seemed so ordinary, and yet you would never see a similar scene in Montreal – a shepherd walking along the main road out of town with his goats and sheep in the middle of a residential area. We transferred back into Ahmed’s taxi and made our way to the checkpoint. From the car, it sure looked and felt like driving across an international border, wouldn’t you say? Ahmed drove us back to the Damascus Gate, and we paid him the agreed rate plus tip. We thanked him for getting us safely around. We called our Israeli friends and told them we had returned safely, and they reacted with shock. I called my family in Canada to report where I had just gone, and shaved a good 5 years off my mother’s life in the process. I probably just gave her a few more gray hairs if she read this post. Ahmed, if you ever stumble upon this blog post, I thank you for your patience, your insight, and for opening my eyes. And that is why this had to be a separate post – because it was a very different story to tell. This entry was posted in Anecdotes, Middle East, Travel and tagged Bethlehem, border crossings, Israel, Palestine, security, Travel, West Bank by hoboshutterbug. Bookmark the permalink. turns out i don’t know everything about you! is ahmed was israeli, why was he allowed into the west bank? because of his friend? Ahmed was an Israeli Arab, which meant that he had Israeli citizenship but his paperwork identified him as an Arab/Muslim as opposed to a Jew. This gives him different mobility rights then someone living on the Palestinian side of the fence. IF he was israeli. typing fail. 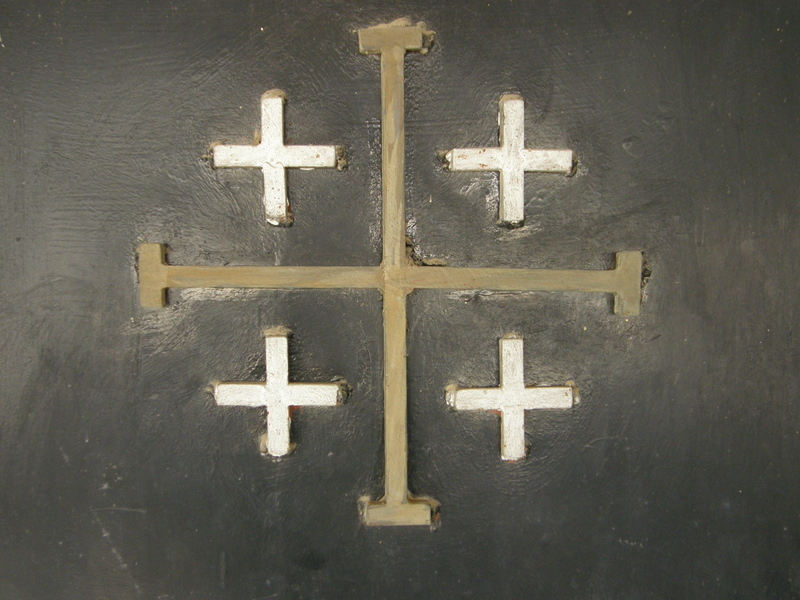 Hey, i got one of those bethlehem crosses, and I was just wondering this morning where its’ gotten to… i was wearing it for a while.